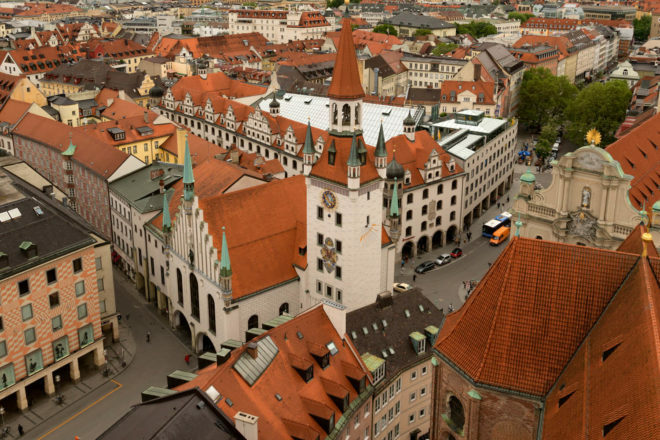 Munich is a city rich with culture and history. 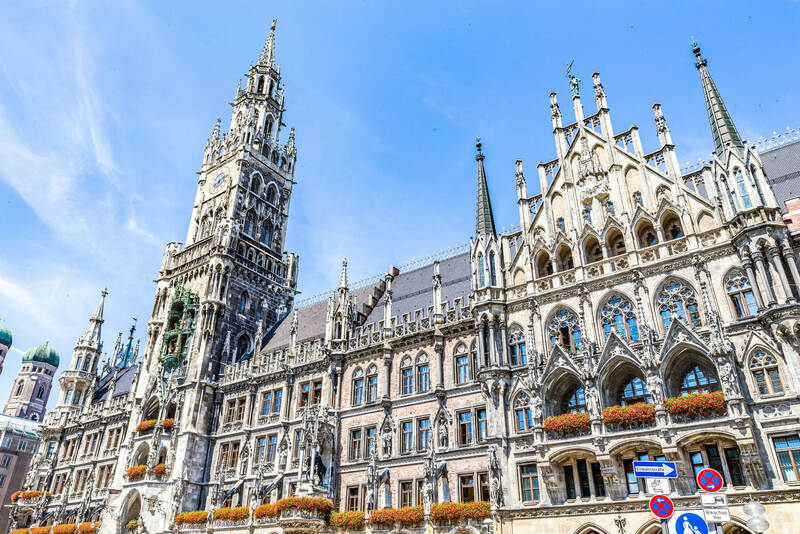 The beautiful cathedrals in Munich are just some of the attractions around the city. Munich has a lot to offer! On the one hand it is full of culture and history. On the other it is a city with Italian flair and lots of nature (Munich is humorously said to be the most northern city of Italy). So it is perfect to explore on foot or by bike (be sure to wear comfortable shoes). What are the three things visitors should do when they are there? Go to a Biergarten and enjoy a beer and a pretzel; visit the Allianz Arena and watch FC Bayern; take a tour of the city by strolling across the Viktualienmarkt and climbing the stairs of the tower of the Alter Peter church to enjoy a great view. The Flaucher, the Munich locals call it Isar-Riviera; it is a section of the Isar River in the south of Munich, where – in summer – there is a real beach feeling and you can stroll along the river, relax and have a barbecue. For breakfast head to the legendary Cafe Frischhut in Viktualienmarkt, affectionately known as Schmalznudel for the special type of doughnut it serves; or try a Weisswurst (a Bavarian white sausage of minced veal and pork back bacon). At lunch have some typical Bavarian food in non-touristy restaurants and beer gardens like Wirtshaus am Bavariapark or the Augustiner-Keller Biergarten. What is your favourite lesser known museum or attraction in the city? Villa Stuck in Bogenhausen; the Valentin-Karlstadt Museum, dedicated to Karl Valentin and Liesl Karlstadt (cabaret stars who had a big impact on the German Weimar culture); and the small galleries in the Schwabing area. What neighbourhoods or areas should people explore? Wander around Schwabing, Glockenbach and Haidhausen. Ride a bike to the Nymphenburg Palace; once there go past the canals of the castle and head towards the Englischer Garten. Have a snack and a beer in the Biergarten, then watch the canal surfers at the Eisbach. Go for dinner at the Little London restaurant for a great steak and a gin and tonic, and round off the day in one of the trendy small bars in Schwabing. What is the one thing visitors should take home after a visit to munich? If you don’t want to buy a beer stein, go to Dallmayr, a delicatessen founded in 1870, and choose from typical Munich delicacies.